It's official. I have decided to fully embrace Halloween this year. The costumes, the decorating, the trick-or-treating. I might even attempt to carve a few pumpkins! I a going to be one of the go-to houses that all of the kids love. You know the ones. The houses they race to, pushing and shoving, trying to be the first to ring the bell. Don't get me wrong, I'm not going to go out and put up more lights than the Griswold family on Christmas, but I am determined to at least have the best candy on the block. 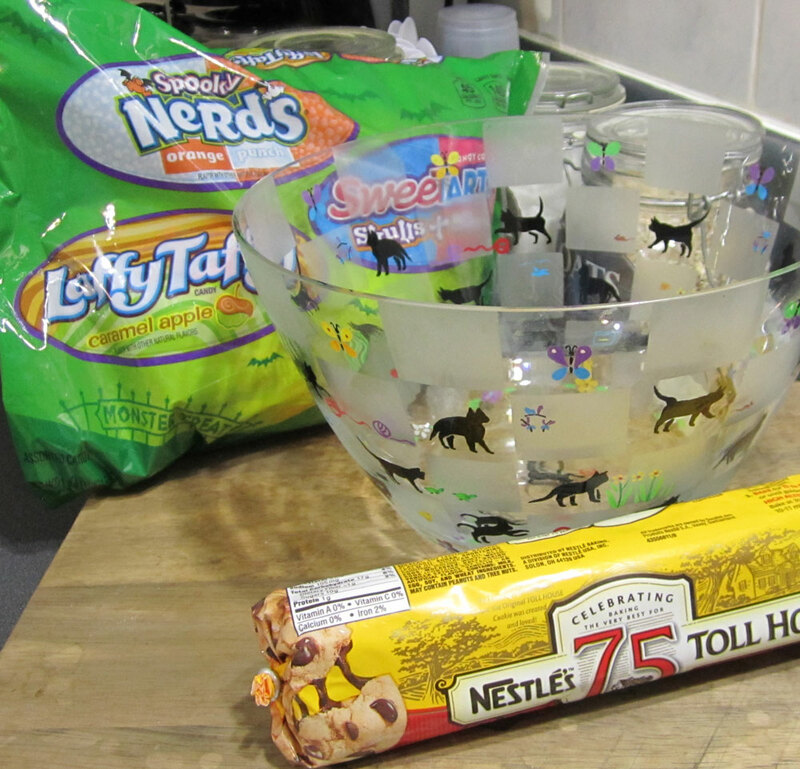 I'll admit, in the past I've usually stuck to a big bowl filled with random generic candy. I think one of the things that has always held me back was that thought that it would cost too much money. Well I found out that it doesn't have to. 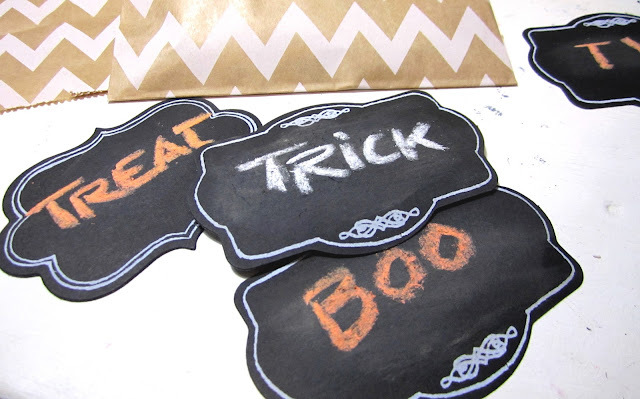 I'm going to show you how to make great Halloween treat bags that are budget friendly. And, the best part, these candy treats will definitely be the best on the block. You definitely want to start out with the best candy. I recommend the NESTLÉ® Jumbo Assorted Fun Size (1.) It has a nice variety that allows you to mix up the treat bags with several candies. 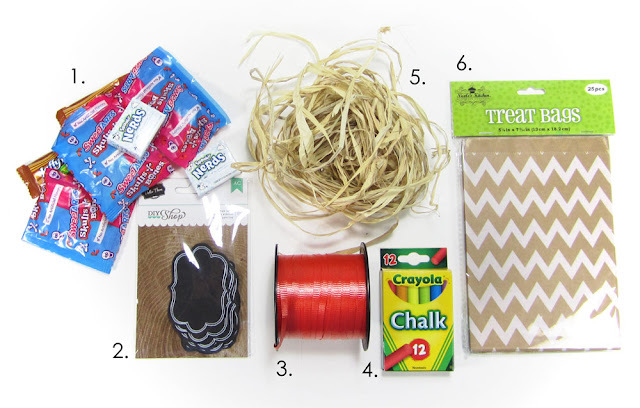 Now you want to grab a few supplies to make your gift bags. I used these bags (6.) and matching chalk tags (2.) You'll also want some raffia (5.) ribbon (3.) and chalk (4.) I found everything I needed right at Walmart. I'm convinced, that store has everything! I don't usually buy cookie dough so I wasn't sure exactly where it was. I found it down by the dairy in the refrigerated section. All of my other supplies and ingredients were exactly where I expected. 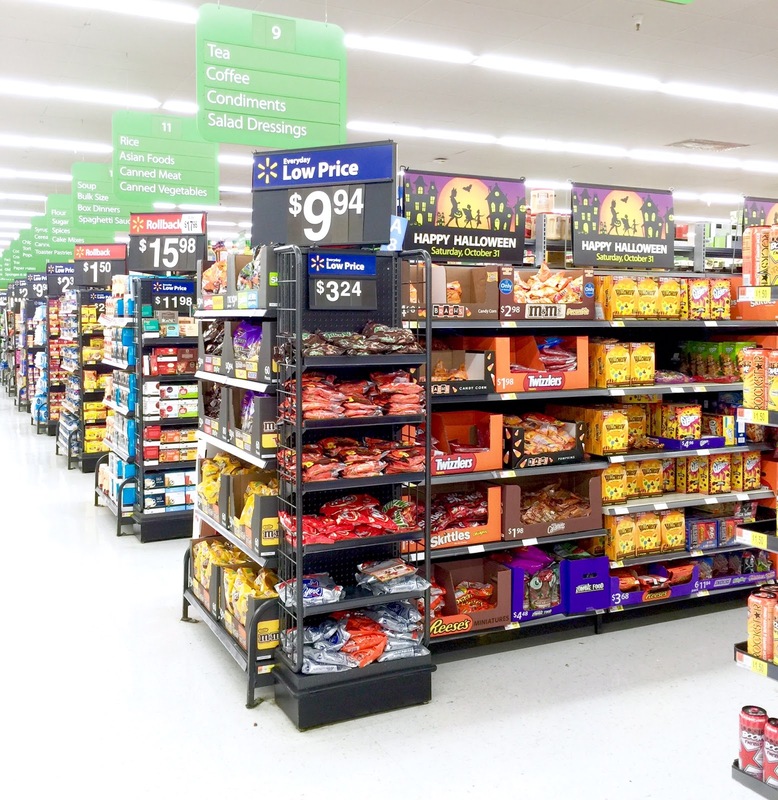 Don't forget to pick up some food for Halloween day as well. Remember, the last thing you're going to want to do is cook while everyone is trick or treating. 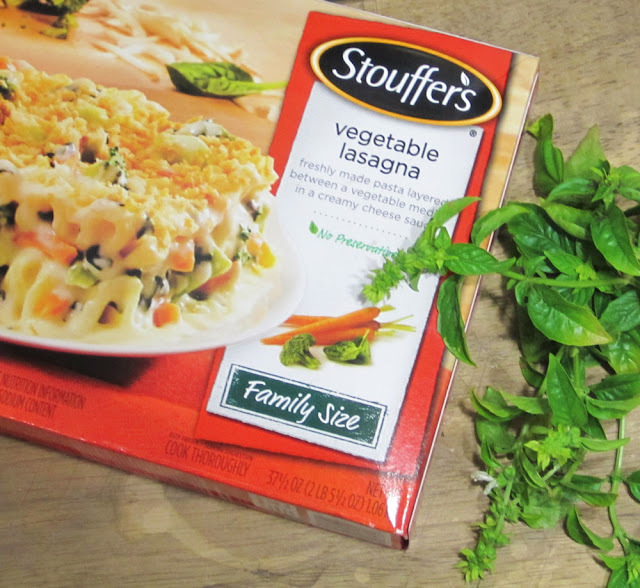 I really love STOUFFER'S® Family Size Entrées. They're about as easy to make as you can get. 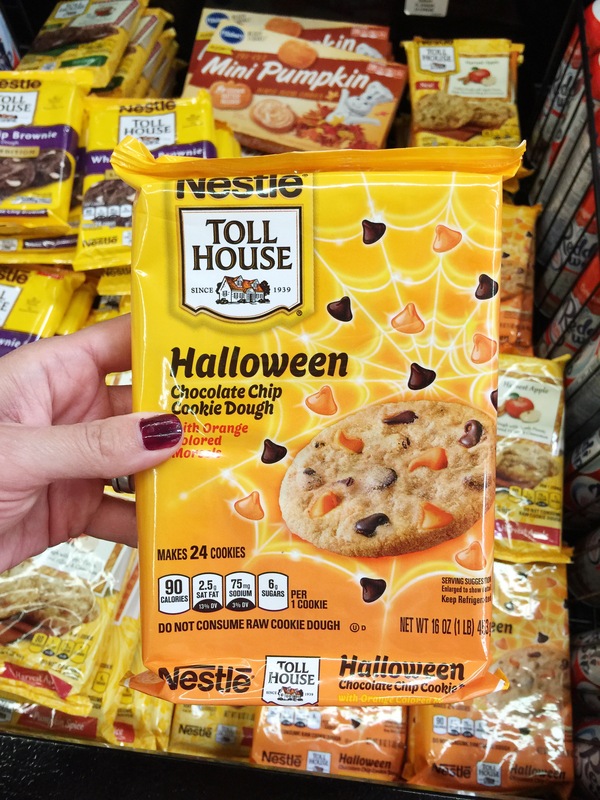 Oh and grab a batch of TOLL HOUSE® Cookie Dough also. Trust me, your kids will love you for it. 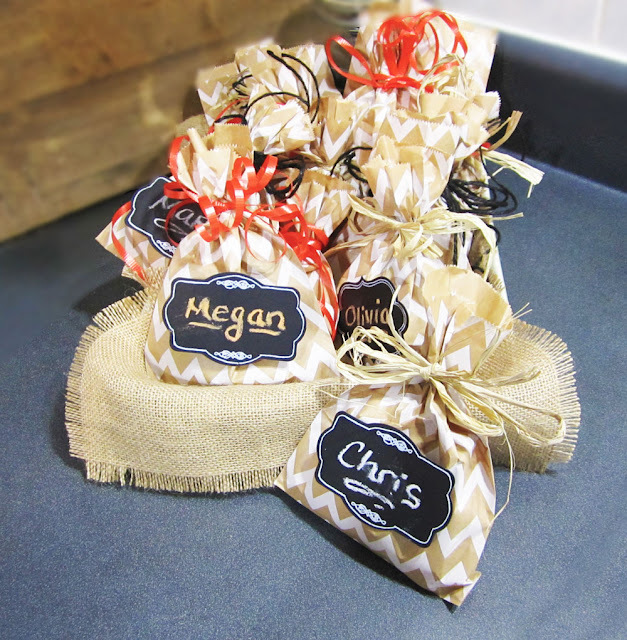 When assembling the treat bags you may want to mix and match the labels and ribbons. 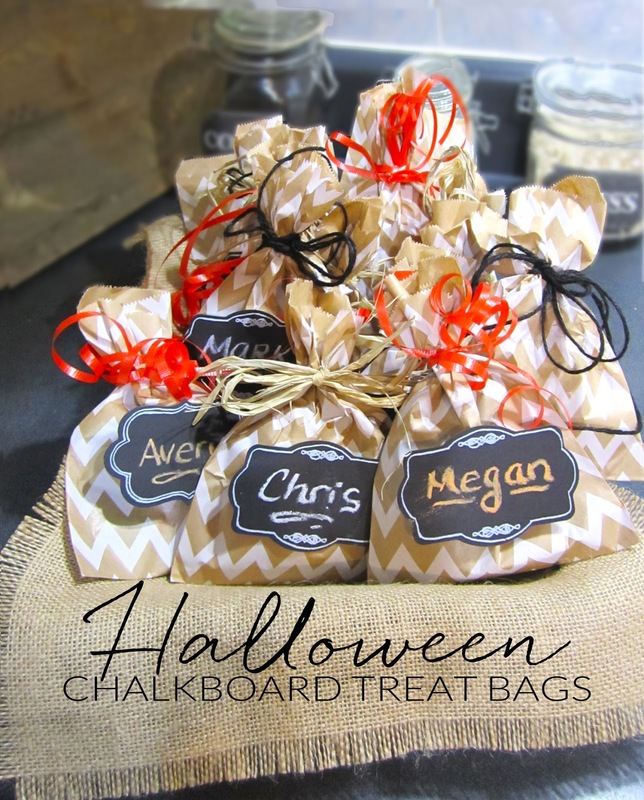 It's a great touch to personalize the treat bag for kids around the neighborhood that you know. Throw in a bunch of bags with random spooky Halloween greetings as well. It's your first step to having a truly memorable Halloween this year. you make for the holiday? 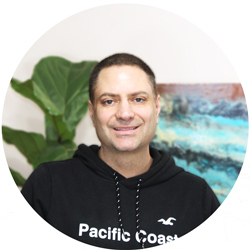 I'd love for you to share in the comment section below. Thanks! There so easy to make. You can buy chalkboard labels basically EVERYWHERE. So much fun! Have a Happy Halloween!! !